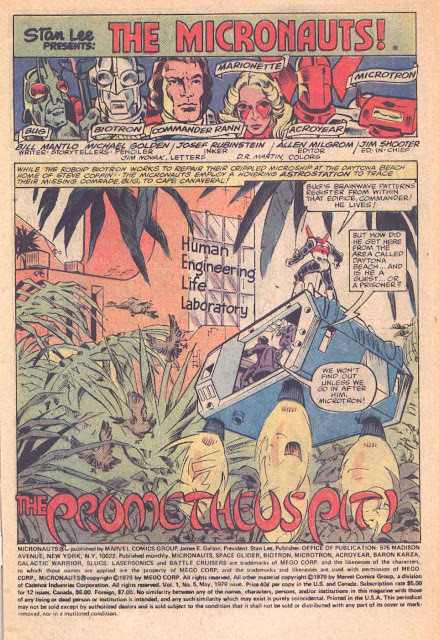 Just beautiful work, Micronauts were great. Golden had the midas touch. I wish he like so many others in the 70's & very early 80's had stayed in comics longer. 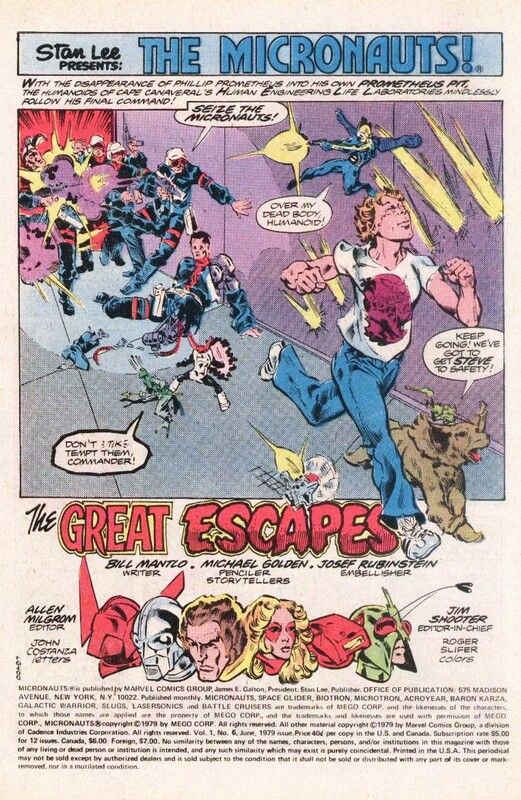 But I guess both DC & Marvel didn't pay or take care of their employees very well. Causing much of their new top young talent to quit & go into animation at that time. I loved Mike's work on The Nam & Batman Family. Another great title he left way too soon. 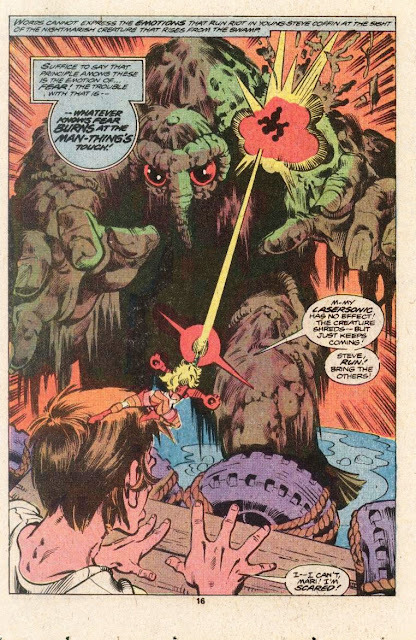 I wish he had done a new Demon series & took over Ragman also. 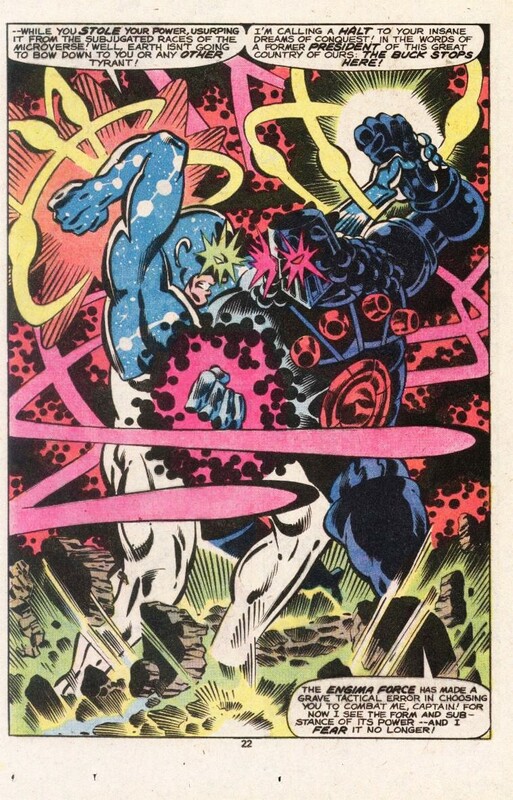 Imagine if he had drawn Firestorm or the Hulk. SIGH! i miss the 70's to mid 80's. Great comics, music & movies! Golden Actually did draw the Hulk. 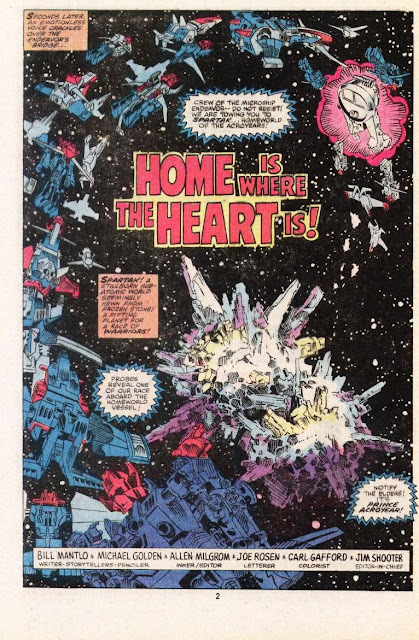 In fact it was the only post Micronauts story he ever did with Bill Mantlo. It was Marvel Fanfare 47. And it was a Spider-Man Hulk story. You should check it out. The artwork is some of Golden's best. And the story is pretty good. 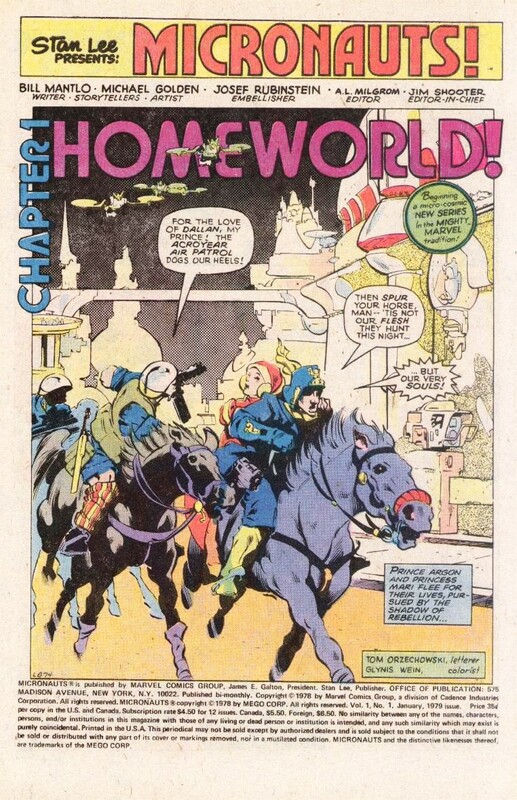 Do you remember the story with Denny O'neil did with Golden in Batman Family? It is a murder mystery in the mountains during the winter. Bruce Wayne is one on a bus with some political leaders and the bus crashes. It is either Batman family 18 or 19. Another combination of a great story and great artwork. "mining for gold(en)" [MONDAY,JULY 27,2009]. Legendary indeed. For a brief time there, the combination of Mantlo and Golden on Micronauts was like lightning in a bottle. 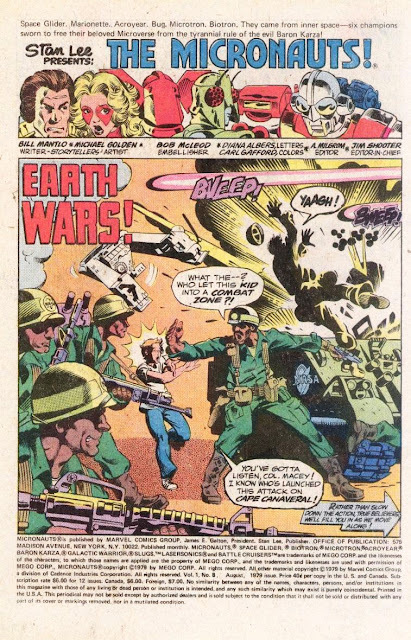 Reading these comics for the first time are some of my fondest memories as a kid. 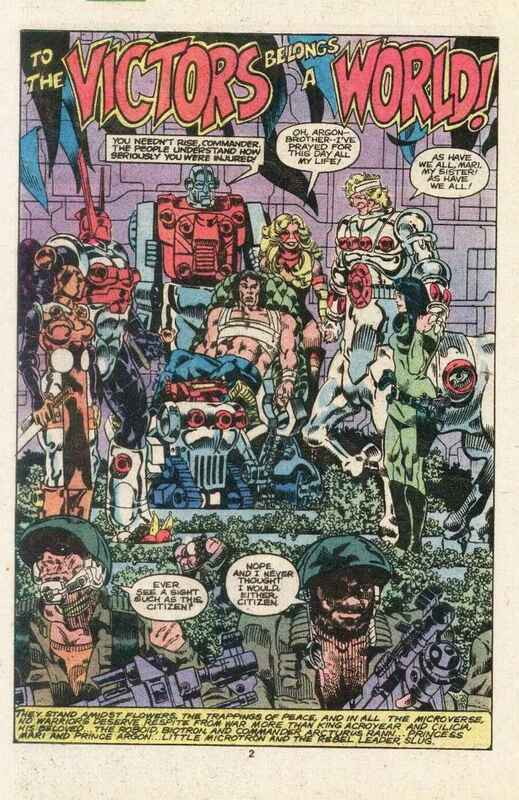 I've had the pleasure of meeting Michael Golden and not only is he a GREAT comic artist, he is a true gentleman. Thanks for posting these! 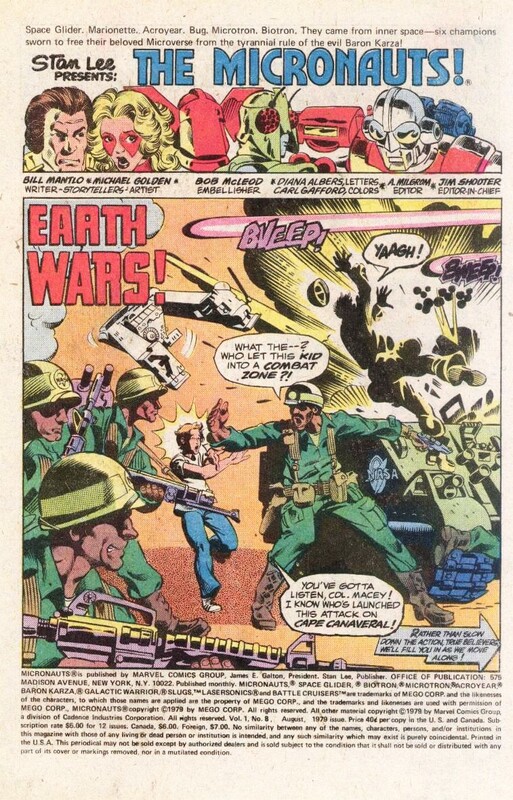 Why have these not been reprinted in color? I think there's a black-and-white edition of the issues out there. 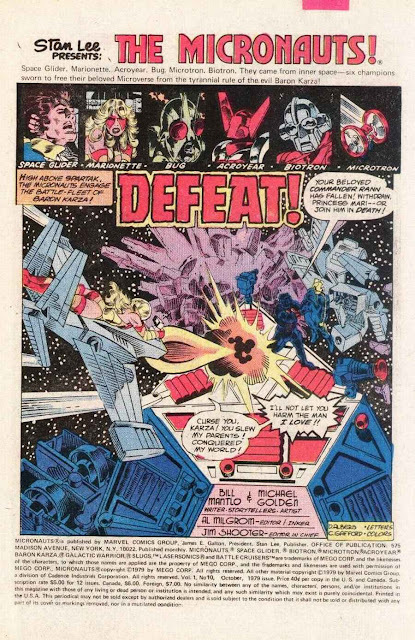 I read these when they were new and I was about 11 or 12. Just wonderful stuff. 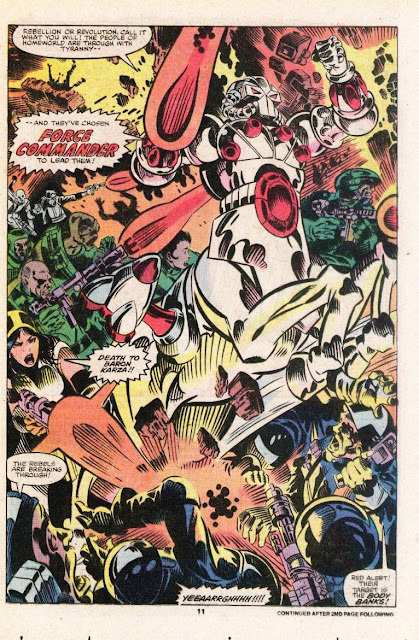 The 1983 Micronauts Special Edition color reprints on glossy paper are easily found these days. I just dug the whole 5-issue set out of a bargain box for 33 cents a piece last Saturday. Score! 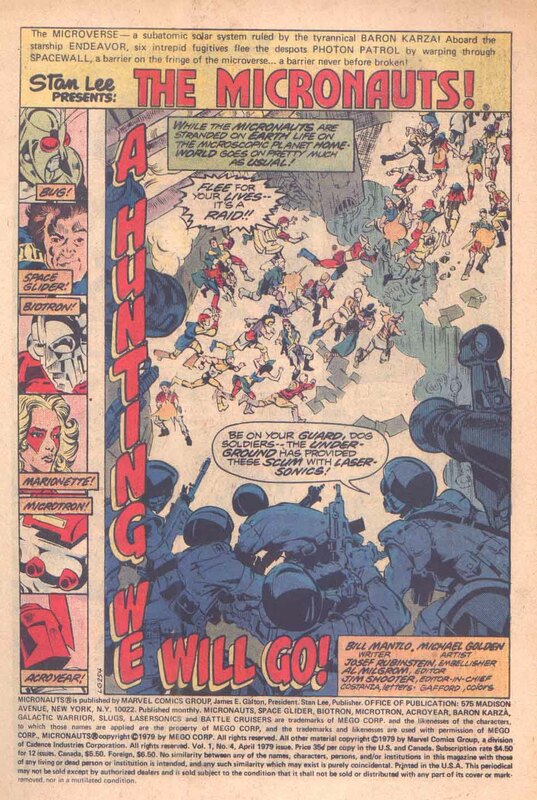 It covers all the Mantlo/Golden issues. 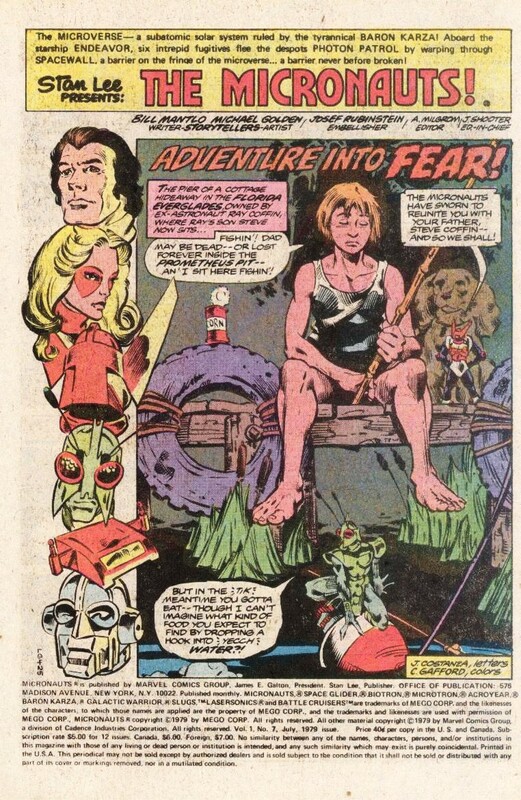 I just wish I lived in the alternate reality where we'd had a few more issues of the Gerber/Golden/Heath Mr Miracle series. 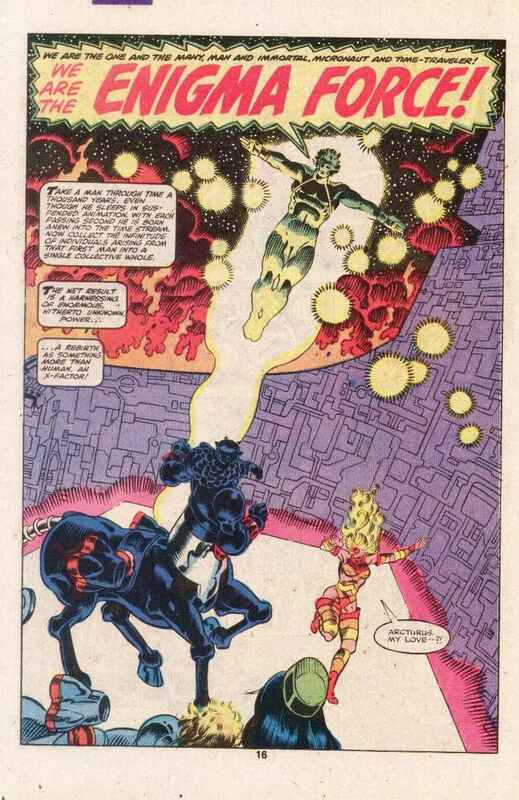 Or even the one where there's a Manto/Golden Micronauts collected edition in print. You're most welcome, fellas! As for a collection, it's that ol' bugaboo licensing coming into play. 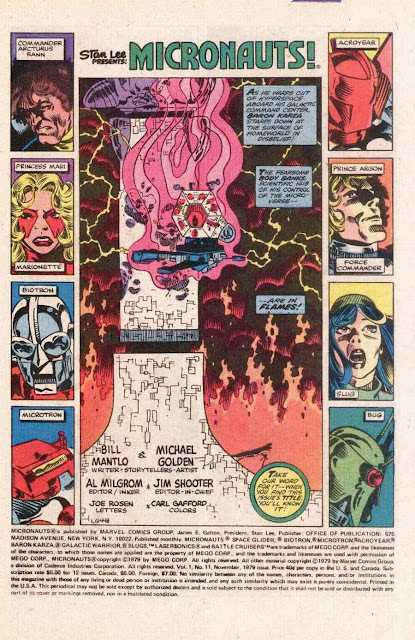 I see that Al Milgrom was inker/editor on some of Golden's later issues. Sad that he was sacked from Marvel, and, just recently, from Archie Comics. Looks like another one whom "comics have chewed up and spit out," to paraphrase Jack Kirby. Sad. These were incredible works, and Bug was such a cool character. I'd love a collection of this, forgive the pun but anything by golden was golden! 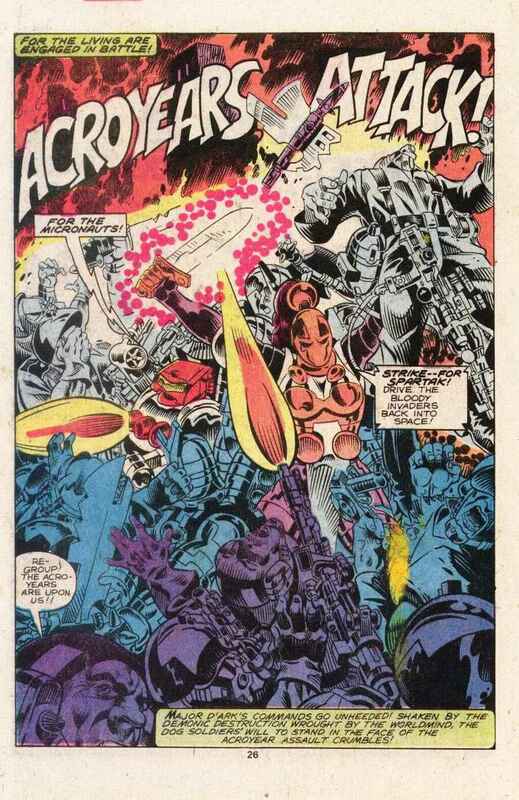 And Mantlo, man what a fearless creator. 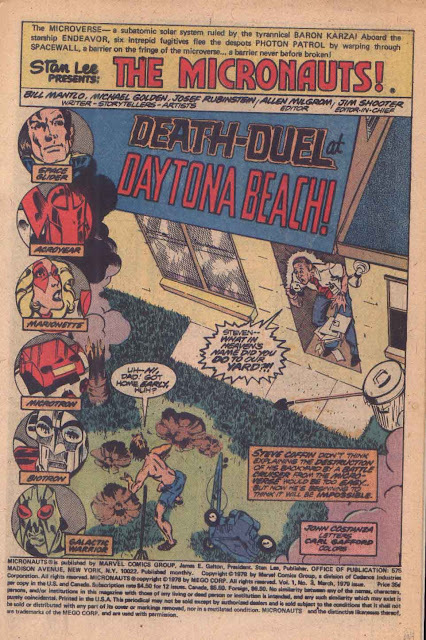 I reread the first few issues recently. Beautiful stuff in the dust bin. Too bad. It was clear that Mantlo and Golden were really enthused about this project. The first issue of the Micronauts was just heart-renderingly beautiful, full of great sci-fi scenes and settings by Golden and Rubenstein. 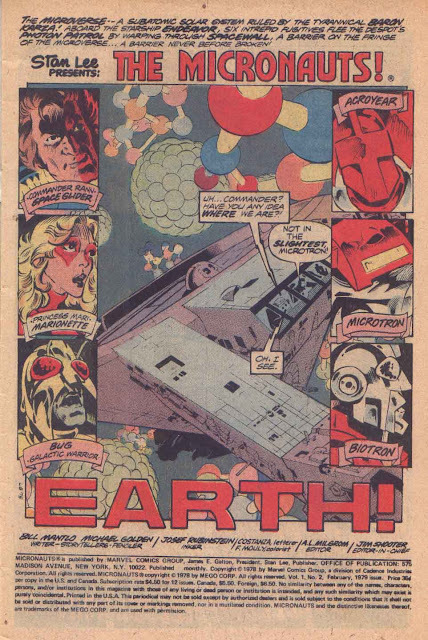 Then they had to ruin it by taking the Micronauts to Earth and have them meet Marvel superheroes. It would be some time before they got back to the Microverse in its full glory, and by that time, Golden was gone.